Since Instagram Stories launched in August 2016, it has now reached over 150 million daily active users. 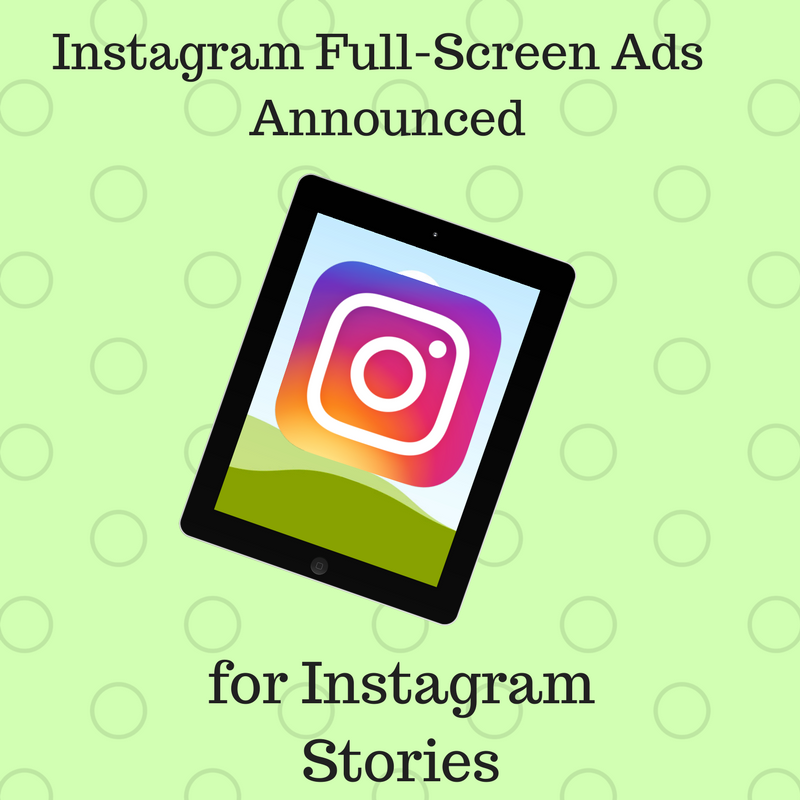 The company has now announced that Instagram full-screen ads will begin to appear on pages for more than 30 brands. Instagram has also announced that these advertisements will be “sound on” to provide viewers with an “immersive experience” which will create an “intimacy with people” unlike ever before. Instagram full-screen ads are expected to roll out globally over the next several months. The company plans to have the new advertisements reach all interfaces over a period of several weeks. Companies such as Mulberry UK have stated that Instagram Stories has seen a major potential in this tool and that Stories has has already had a major impact on user engagement. According to Felipa Monteiro, who is the Head of Digital Marketing for the company, Instagram Stories receives 5 times more clicks to their site and engagement when compared to the average across the companies other social channels. When well executed, Instagram Stories is an affordable business tool which allows companies to connect and interact with their customers in ways never imagined. But proper execution takes time, planning, and experience. Our digital marketing team at Small Screen Producer has helped numerous companies of different industries elevate their business by improving their inbound marketing plan. To learn more about Instagram and to receive a customized report on how you can improve your online marketing strategy, contact us or give us a call at (281)569-4370.